Fresh from winning the Scottish Poetry Slam Championship, Milton was the guest at our opening show on 19 August 2010. 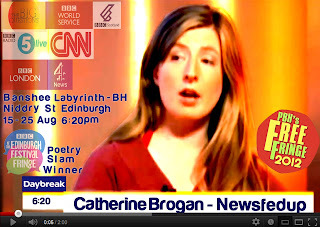 Cat Brogan, winner of the BBC Poetry Slam 2011, came to our rescue on 26 August 2012 at very short notice, following the Fringe flu affliction of Cynthia Carle. Cat is passionate, incisive and very funny and we are glad to have had her on our stage (as well as to hear her on our airwaves getting political about squatting). 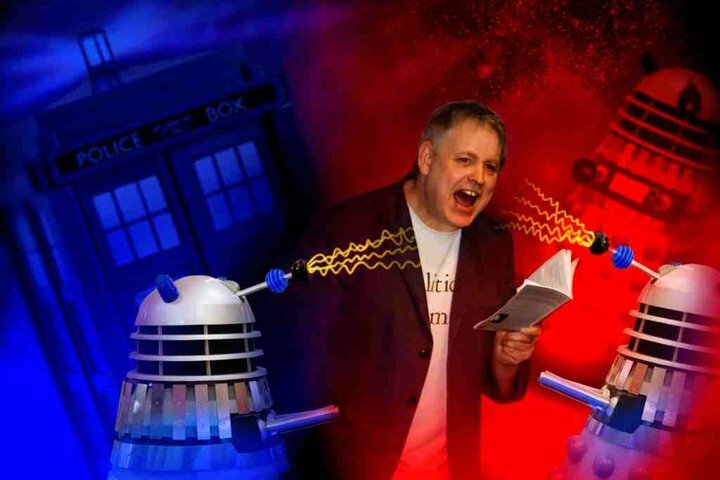 Originally from the north east of England, Edinburgh-based Kevin is now a leading light on the Scottish poetry scene. As well as being Commissioning Editor of Red Squirrel Press Scotland, he is Creative Editor of the recently launched Drey magazine. 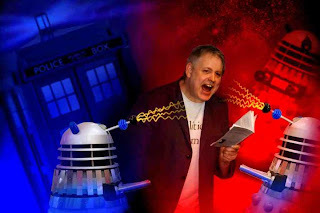 A veteran of radio broadcasting and bringing poetry to the masses, Kevin is known for his energetic yet droll performance style and his aptitude for imitating Daleks (when his doctor isn't listening) and demons (when his children are). Kevin lent us his brand of the surreal to open our Fringe run on Sunday 21 August, 2011. 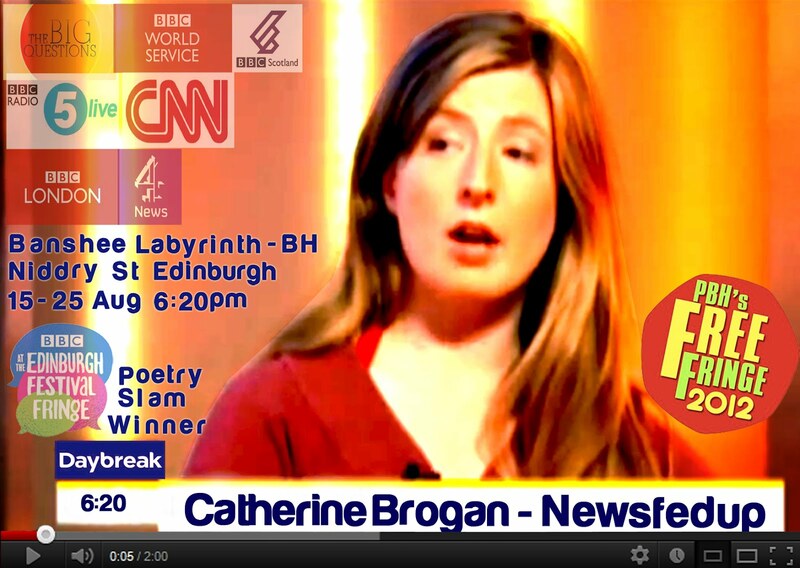 Young Dawkins is the 2011 Scottish Slam Poetry Champion. His debut solo show at the Edinburgh Fringe is What I Know About Women So Far. As the 2011 Scottish Slam Poetry Champion, he recently represented Scotland at the Slam Poetry World Cup in Paris. 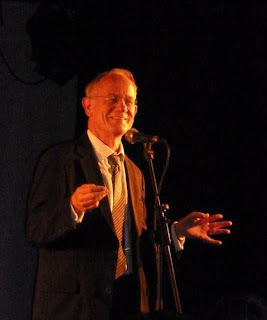 A regular on the Edinburgh and Glasgow performance poetry scenes, Young Dawkins was a central figure in the New Hampshire beat poetry revival movement. The beat went on at Espionage, with Arguments and Nosebleeds, on Wednesday 24 August, 2011. Almost everyone who is aware of poetry as a performance art must have heard of the great John Hegley. He was the headliner for our second ever show on 20 August 2010. 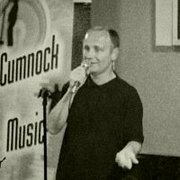 Jim is an Ayrshire man - Cumnock to be precise. His writing mixes local flavour, satirical bite and intoxicating wit, all of which helped him to become runner-up in the 2011 Scottish Poetry Slam Championship. You can see him performing on his YouTube channel. In order to be match-fit, Arguments and Nosebleeds we joined the Jim on Monday 22 August, 2011. Chrys Salt is a poet, writer and theatre director, co-editor of Markings Publications, Artistic Director of The Bakehouse, a flourishing arts venue in S W Scotland and of "Bare Boards... and a passion" Theatre Company. She has directed many of the country’s leading actors and performed with the great and the dead including George Melly, Poet Laureate Cecil Day Lewis, Ivor Cutler, Dannie Abse, Mike Horovitz, Ian McMillan, Stewart Conn and a host of others. She has performed at Festivals across the country, Europe and the USA, in universities, stately homes, pubs, tents, loving rooms and dank basements. She is a member of the poetry performance group The Solway Poets and is published in journals, magazines and anthologies and been broadcast on both Radio 3 and 4. She is currently writing her next collection to be published in 2012. Chrys joined us on Thursday 25 August, 2011. Tim Turnbull is used to holding the attention of captivated audiences - literally, since he has worked extensively bringing creativity and literacy to Her Majesty's Prisons, amongst other places. A distinguished poet on both page and stage, Tim joined us on Tuesday 23 August, 2011.